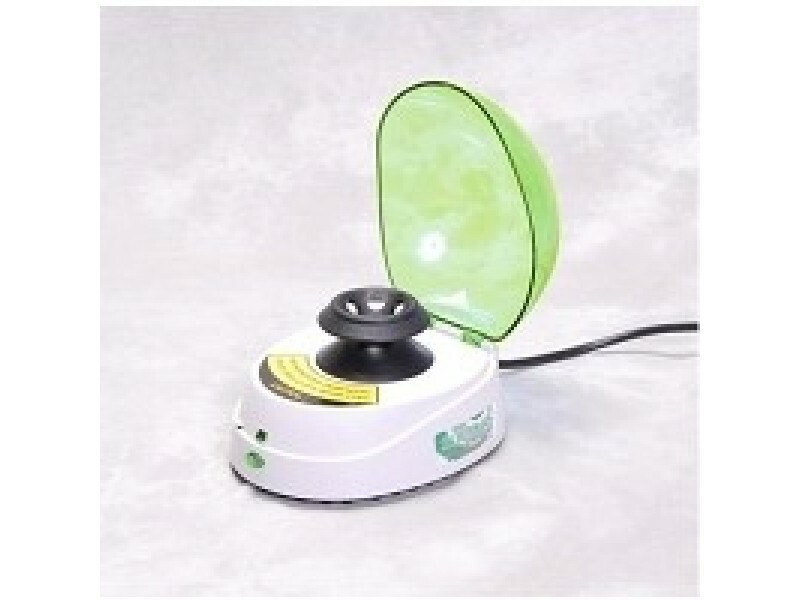 Scie-Plas Mini Centrifuge - Raya Scientific Co. The new Scie-Plas Mini Centrifuge is compact, easy to use and designed to meet the wide range of applications found in research. The Scie-Plas Mini Centrifuge includes three rotors: (i) a 6 place, 1.5ml rotor, (ii) a PCR Strip rotor with two sets of Adaptors included 0.5 to 0.65ml and 0.4mls, and (iii) a 1” x 3” slide At 6000 rpm /2000g it is perfect for quickly spinning down samples, micro gel filtration applications and micro-volume centrifugation. Fast acceleration and braking make it perfect for quick spins. The small footprint and economical pricing allow every laboratory bench to have one. On/off switch, so the lid can be shut to keep debris out of the chamber when not in use and not turn on. Cold room compatible for application that need refrigeration.